The most recent study shows that 67% of adults use social media regularly. [Study] If 2/3rds of your church showed up to a meeting every week would you want to use that meeting to communicate with them? If that percentage of folks in your community came to an event in your town next week would you want to find a way to use that platform to reach people? Church leaders that ignore social media are missing a significant channel for reaching people in their community. You might be hindering God’s work in your church because you aren’t posting enough status updates! Social media is simply a way for you to connect with people and get to know them better. Do you want to build relationships with your people? These networks are amazing platforms for spreading ideas and concepts. Surely you want more people to connect with the message of Jesus? 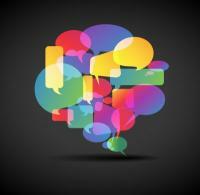 Social networking allows a leader to leverage more influence faster than so many communication platforms in the past. Do you believe God is asking you to influence this generation? Post a “Behind the Scenes” Pic // You get to see some pretty cool stuff as a church leader that your people would love to see.. The worship team praying back stage before a service. The youth band rehearsing. Elders meetings. (Ok … maybe not that one.) Keep an eye out for something that your people might want to see! Dip into the Stream // Set aside some time every day this week to just wade into your social networks for a period of time. Read what people are writing about. Ask people questions. Interact. Retweet. Even 15 minutes a day will give you incredible insights. Great stuff! For a pastor to NOT be using Social Media is kind of like NOT using a telephone. What I like is with this post you are taking something that is everywhere and asking the question how would this help pastors connect with people? Good practical stuff. Since Facebook is now the frontporch of Americans should we not as ministers be where the people are? You gave simple yet effective ideas and means of doing just that! Thanks! Great thoughts! I want to take more time to encourage and support other pastors; I know what a difference “out of the blue” encouragement has made in my life, and I want to pass that on to others. Who have you done it for today? I tweeted Andy Stanley earlier today. Thankful for him. Rich, super practical and really a great place to start. Thanks for putting this list together… it will be getting some love from me on Twitter. Great ideas Rich! This shows to be ‘social’ is not hard to do at all! Right? It’s not too tricky at all! Great stuff, Rich! This post is currently being circulated around our church staff inboxes. Nice, practical things we can actually do! Let me know if I can help you guys in any way!